Enthusiastic sportsman, Scout and here for a year! Christian Reimers recently joined the National Office team as one of two German volunteers. SSA: Christian, can you please tell us a bit more about yourself? Christian: I am Christian and I come from Emmerke, a small village in the north of Germany, with about 1300 inhabitants. So it’s quite a big difference to SA. I live with my family (Sabine, Thorsten and Anika) in our own house. My sister moved out to study and aspires to be a maths and physics teacher one day. I am 18 years old and I finished school in June 2018. In addition to Scouting I do a lot of sports. Two times a week I play handball and I am also a competitive swimmer. I train 4-5 times a week. So sports and Scouting are my passions I would say. But my biggest passion and most important person in my live is my girlfriend Mella. She is going to Australia for half a year. 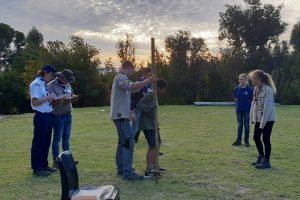 SSA: When and why did you join the Scouting Movement? Christian: I joined the Scouting movement quite early. I was eight years old when I came to the Scouts for the first time. I went there together with all my friends to have fun and spend some time together. And now … I’ve been in the Scouting Movement for about 10 years and I do not think about leaving. Once a Scout, always a Scout as it is said. 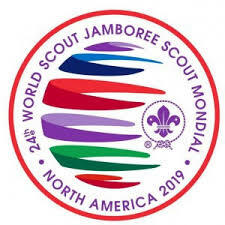 I like the way Scouts treat each other with respect and the heartfelt way of living together. You can meet so many new people, for example in camps and competitions. Everybody has got an own story to tell. For me Scouting is about meeting new people and opening up your own horizon. Together with others you can create something new, let your own ideas and opinions come true. SSA: What are some of your favorite Scouting memories? 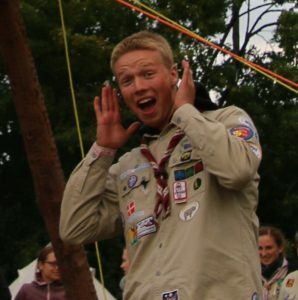 Christian: Campfire evenings with my Rovers, just fooling around and having some fun, becoming a leader of our local Scouts Group, the “Ironscout” competition in Germany and now my biggest Scouts memories are being built since I arrived on the 08.08.18 in SA. SSA: Why did you decide to volunteer for another Scout Association? 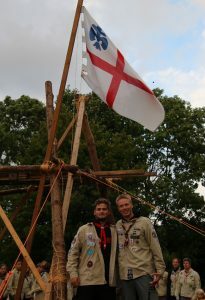 Christian: I really do like Scouting a lot and I didn’t want to start studying straight away. I wanted to do something else, go somewhere else and experience something else. So I mixed all those things up and ended with a voluntary year with SCOUTS SA. I am very happy with it! SSA: What are you looking forward to? Christian: Making new friends, getting to know SA, gaining a lot of new experiences and opening up my horizon, have fun and enjoy work and most importantly, not being a guest, rather being part of the family and the Groups I am joining. SSA: You mentioned that you love sports of all kind and that you are a coast guard in Germany. Are there any specific activities you would like to explore whilst in Cape Town? Christian: I want to keep myself fit in SA in any way. I also want to try some new activities. The three ones I am most interested in are surfing, kite-surfing and sailing, but I am open to every opportunity that comes my way. SSA: You recently took part in the Gordon’s Shield competition. What was that like? Christian: OMG! I have never seen a competition before. We just go on camps and enjoy the day and the kids are playing around. But I really liked it! Doing a competition on their own makes the children independent. They get prepared, like the motto of the SCOUTS SA wants them to. I met so many lovely new people. It made me feel like home for a little while. I want to remember all their names, but I can’t and I want to meet them all again! I really do like the campground too, it was breathtaking. On the one hand there are grass fields, forests and houses and on the other hand there are plains, huge mountains and waterfalls. It’s really amazing having a shower under a waterfall! 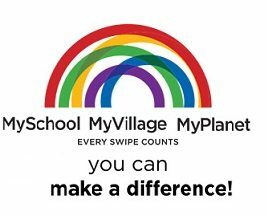 SSA: In addition to volunteering at the National Office, are you planning to explore SA a bit? Christian: Yes, I hope I am able to explore SA a lot, but I haven’t planned much yet. The only thing I have organised is to visit my host family from my last stay in SA. I was in Pretoria a few year ago as part of a school exchange programme. But there is so much more to see! I want to “explore” and experience the every-day life of SA. SSA: What is the one thing people should know about you here in SA? Christian: My English might not be the best, but I’ll try my best to understand and learn. I am open for crazy adventurous stuff, so don’t be shy, I am not going be shy either. I am a really active person and like spending time with friends. I always need something to do as I get bored quite fast if I am just hanging around doing nothing. There is always a reason to be happy!